The MAM Cooler massages and soothes sore gums. 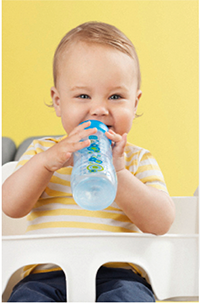 Filled with purified water, this teether can cool and calm tender gums. The unique shape reaches back teeth and the varying structures massage sensitive gums. The ring handle is lightweight making it easy for baby to hold. 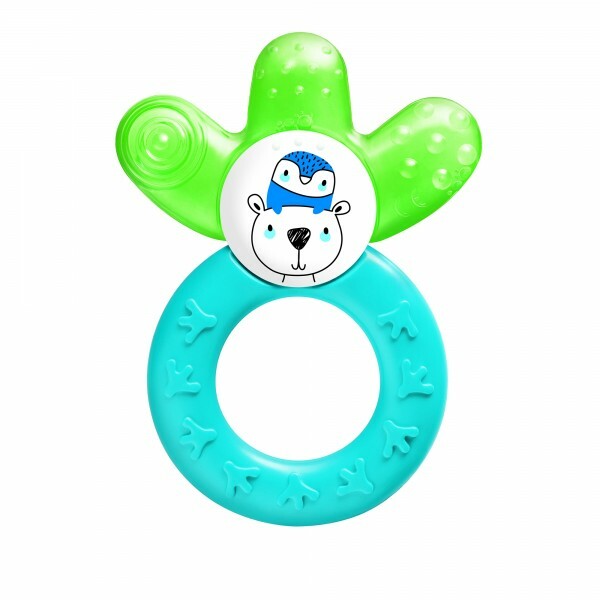 MAM Cooler Teethers are available at Amazon, Walgreens, buybuyBaby, HEB Grocery, and Albertson’s. Before each use check carefully. Throw away at the first sign of damage or weakness. See product instructions for more details. Wash before first use and regularly with hot water and mild detergents. Dishwasher safe (in top rack to a max. temperature of 149° F/ 65° C). For optimum cooling effect, put the teether in the refrigerator for one hour. Cool only in a refrigerator. Do not place in the freezer compartment. Do not boil, steam or microwave sterilize. For cleaning wash with hot water. MAM Cooler Teether, 4+ Months is rated 4.9 out of 5 by 77. Rated 4 out of 5 by ktabz from perfect for my little so, we ended up getting this after a couple others and we found that our little guy loved it the most compared to the others we had originally gotten and what we loved the most was that he was able to hold it really well in his little hands. its not heavy like some others and its really cute to look at as well, loved the color choices. i should also add that i had to purchase 2 more because he lost one while we were out and he decided that the others couldnt measure up so now he has one in his playpen for easy reach when he isnt using it and one is ALWAYS in the diaper bag just in case. 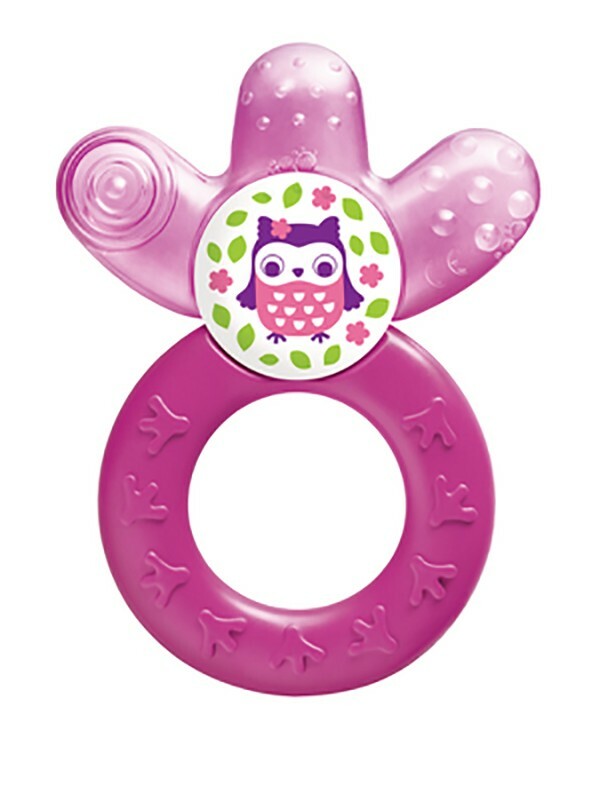 i definitely recommend this product for new moms or any mom looking for a great teether for their baby.